how do you facilitate a student’s learning? how do you evaluate their learning competency and proficiency? what is the value of a learning contract? what is the value of a formative assessment? what could be the outcome, if you or the student don’t value or invest in the planning and reviewing progress? clinical skills development relies on the gradual attainment of competency through a progressive educational framework. individuals have unique preferences which are relative to their personal learning styles and therefore require imaginative, flexible approaches to teaching and facilitation. This involves organising the components of a given situation or problem, so that patterns and solutions emerge. The process is therefore, as important as the outcome. Individuals are encouraged to actively, not passively, participate in the process. why is the skill required? what background theory is needed? what about legislation/resources/health and safety and equipment? how can the skill be practised safely? who are the experts that will teach and support skills acquisition? what criteria will demonstrate competency? how will competency be maintained? Why? Is the skill required? Background theory? Previous knowledge and knowledge required. Who will supervise me? Qualified experienced staff. Theory? Pharmacology (Associated A & P) Knowledge of drugs/doses/routes/interactions/therapeutic-side effects. Health and Safety? Patient identity/physical/psychological condition/co morbidity. Infection control/patient monitoring. what good mentoring activities are demonstrated here? how does the student respond? What is the value of an action plan/ learning contract? What could be the outcome? If you or the student don’t value or invest in planning and reviewing progress? 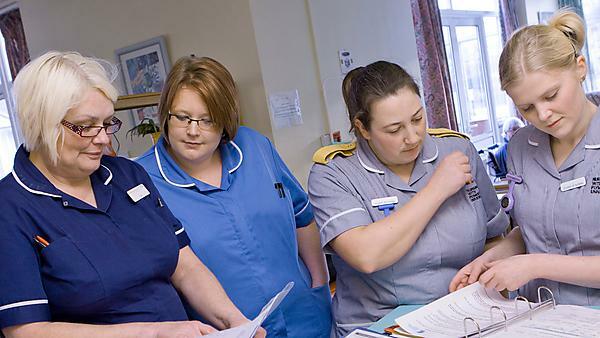 Read our frequently asked questions about clinical skills for students of nursing and find out what nursing students at Plymouth University can and cannot do while on clinical placement. Houghton, T (2016) Creating an environment for learning. Nursing Standard 30,29, 40-48.